Expanded metal mesh is an excellent option for custom wire baskets that need more tensile strength than wires can provide, and more open space than what sheet metal offers without wasting metal. However, there may be some confusion about how expanded metal mesh is measured. Strands. This is the term for the solid metal portions of the expanded metal mesh. Bonds. This is the term for intersections of strands. Short Way of Design (SWD). The distance between the centers of bond strands in the mesh when measured along the short diamond diagonal. To illustrate this, in a diamond pattern shape like “<>,” the SWD would be measured from top to bottom. Long Way of Design (LWD). The distance between the centers of bond strands in the mesh when measured along the long diamond diagonal. In a diamond pattern shape “<>,” LWD would be measured from right to left. Short Way of Opening (SWO). The distance between the inside edges between bonds when measured across the short diamond diagonal. The difference from SWD is that SWO measures open space, while SWD measures the space from the center of one bond strand to the next. Long Way of Opening (LWO). The distance between the inside edges between bond strands when measured across the long diamond diagonal. Like with SWO, the difference between LWO and LWD is that LWO measures open space only, while LWD measures to the center of a bond strand. Strand Thickness. A measure of the thickness of a strand of expanded metal. Strand Width. How wide a strand of expanded metal is. When measuring expanded metal mesh, it’s important to consider the overall size of the metal plate after it is expanded, its long and short way of opening, and its strand thickness and width. This is because each of these factors will affect the basket’s performance. For example, larger LWOs and SWOs mean that the holes in the mesh are larger, which improves air flow for the expanded metal mesh basket. Meanwhile, thicker and wider strands tend to be stronger than thinner strands. Comparing LWO and SWO against LWD and SWD helps to confirm the width of metal strands and overall open space of the mesh. For example, if the SWD and LWD of the mesh is 0.5” and 1”, and the SWO and LWO is 0.4” and 0.8”, then the width of the bond should be approximately 0.2” x 0.4”. This would provide a strand width of 0.1”. This would also create an open space of roughly 0.5 inches squared for each opening in the mesh. 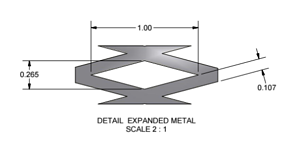 It is important to note that if you’re working with flattened expanded metal, the LWO, SWO, LWD, and SWD measurements may vary somewhat depending on the direction that the metal was flattened. This introduces an element of variability that makes it harder to precisely control open space in the expanded metal basket. Flattening also makes the metal mesh thinner. Standard expanded metal mesh, on the other hand, has more consistent open space between strands—which is based on the machine that is expanding the sheet metal. 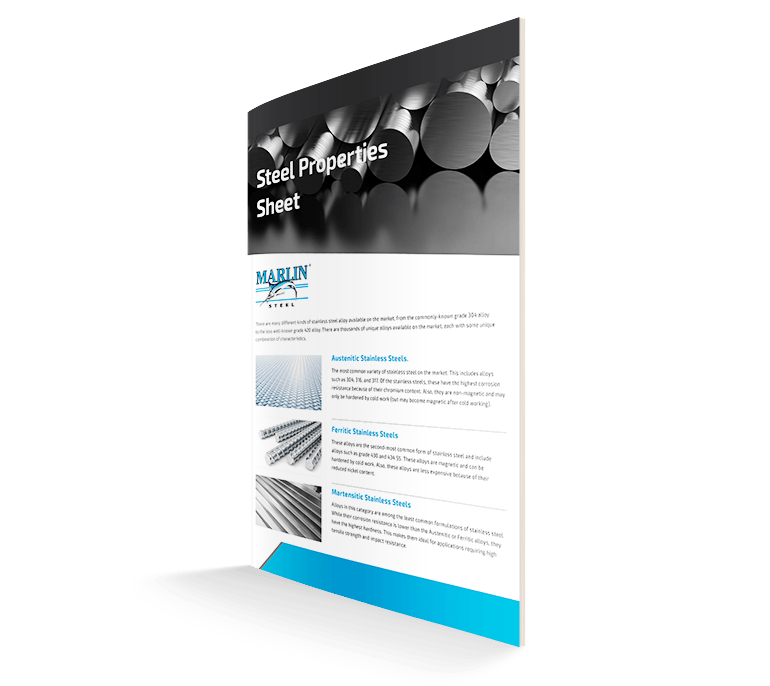 Want to know more about expanded metal mesh baskets? Reach out to the Marlin Steel team to learn more about the benefits of expanded metal mesh.